Children need a comprehensive and well-balanced nutritional structure to grow strong and healthy. Sea Buckthorn provides rich vitamins A, E, D, K, etc., trace elements including iron, zinc, calcium, copper, manganese, selenium and iodine which are easy to absorb without any hormones. At the same time, it contains various immune regulating factors that increase children’s resistance against diseases and viruses without side-effects. Therefore it may be a smart choice to add Sea Buckthorn to the diet of children, including infants. Despite parents’ best efforts, children’s diets may still fall short in certain key nutrients. Nutritionists note that a daily multiple vitamin-and-mineral supplement can help to round out any potential shortfalls in the diet, and can act as a safety net. Learn more about sea buckthorn’s benefits. Preliminary results from studies done in the UK by Dr. Madeleine Portwood, the Senior Educational Psychologist at Durham Local Education Authority indicate that the addition of Omega-3 to the diet of 120 school children with learning difficulties (coordination, handwriting, spelling, reading, hyperactivity, and communication difficulties) over a six month period have shown “stunning improvements”. Dr. Portwood’s premise is that there has been a rise in learning disabilities like dyslexia, dyspraxia, hyperactivity and autism because there is a lack of the essential Omega-3 fatty acid in children’s diets. Sea Buckthorn seed oil, which has a level of 32% Omega-3 (linoleic acid), could be an important part of restoring that healthy balance of EFA’s that we have lost through our ‘modern diet’. Read more about sea buckthorn seed oil. Human breast milk contains significant amounts of linoleic acid. Prior to the 1990’s, most infant formulas contained low levels of this omega-3. Recognizing the need for this essential fatty acid, infant formula companies began adding linoleic acid to their formulas. The main source of this EFA is soybean oil. Consideration is also being given towards the addition of DHA. It is unclear as to whether dietary linoleic acid alone is sufficient to meet the EFA needs of infants. However, it is definitely known that dietary essential omega-3 fatty acids are critical for the development of the nervous system and vision in infants, especially pre-term infants. Sea Buckthorn oil could also be a source of essential fatty acids in infant formulas or infant foods. It is interesting to note that in the body, linoleic acid (omega-6) interferes with the conversion of linoleic acid to its omega-3 relatives, DHA and EPA. The essential omega-6 fatty acids constitute a far greater proportion in the typical North American diet than the omega-3s. Therefore, nutrition experts are recommending that individuals increase their consumption of essential omega-3 fatty acids to omega-6. Good health is directly linked to ’good’ nutrition. Children need to get the right balance of all necessary nutrients: proteins, fats, carbohydrates, vitamins and minerals on a daily basis. Unless a parent can prepare a well-balanced meal, day after day, one may find themselves at a loss of time to supplement their child’s diet. Sea buckthorn is one of those rare natural supplements that are rich in antioxidants, essential amino acids, vitamin E, the rare Omega 7, vitamin C and 190 other bioactive nutrients. Read more about sea buckthorn’s benefits to overall well being. Children should use herbal remedies only with the consent of your physician. Under no circumstances do herbal remedies replace a physician’s care. Li Fuyin et al. 1989. The Application of Sea Buckthorn in Traditional Tibetan Medicine. In Proceedings of the International Symposium on Sea buckthorn (H. rhamnoides L.). October 1989, pp. 302–303. Xian, China. Richardson, AJ. ‘Fatty Acid Deficiency in Dyslexia, Dyspraxia, ADHD and the Autistic Spectrum. Nutrition in Developmental Disorder Conference – Oxford September 2001. What dosage is suitable for infant at which age? Seed or fruit oil? Sea buckthorn oil doses vary depending on your weight, age, nutritional requirements, and other factors. Generally there are no known negatives of supplementing with this fruit oil and it is an all natural food source. It’s just a fruit … with an amazing nutritional profile. SeabuckWonders Sea Buckthorn Seed Oil soft gels, our example for this question, contains 260-300mg of Omega-3 per 500mg soft-gel. With this recommendation in mind you would supplement 2 soft gels (~.5-6 grams) for children 1-3, 3 soft gels (~.5-.9 grams) for children 4-8, and 4 soft gels (~.8-1.2 grams) for children 9-13. 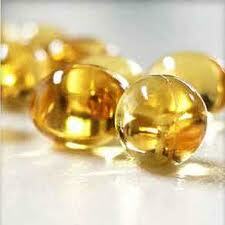 This is taking Omega-3, the most important nutrient in this oil, into consideration for children. 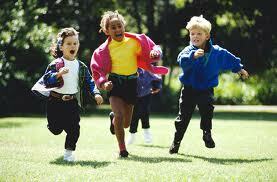 The array of vitamins, minerals, and supplementary nutrients act as a multi-vitamin that children so commonly take. The exception is this is a natural, fruit derived nutritional oil … not a vitamin fabricated in a lab and pressed into the shape of Fred Flintstone. I forgot to answer whether to use seed oil or berry oil. Sea buckthorn seed oil contains the majority of Omega-3, antioxidants, and Vitamins A & E of the fruit. Sea buckthorn berry oil contains most of the Omega-7, as well as very high levels of Vitamin C and is a potent anti-inflammatory. I’d recommend seed oil for the little ones or a blend of both since the seed oil has the ‘essential’ fatty acids and the more robust nutritional profile. The berry oil is tremendous for external use and is the ‘icing on the cake’ when blended with seed oil for a best of both worlds approach. Does Sea buckthorn contains iodine? Yes! Sea buckthorn does contain Iodine from our understanding. Is it safe to apply seed oil to infants topically? We’ve seen people apply seed oil topically at all ages and even to pets and animals. To be safe you should check with your physician first but there shouldn’t be any complications to worry about. It’s just a natural fruit oil. i want to know that i have two kids 1st one of the son of age of 14 years and 2nd one is daughter of age 9 years the main problem is with my son about concentration he can’t remember about studies amd many more things and my daughter only one problem headache as my daughter is suffering from headachewwhen she gets up in the morning she will get a lot of headache so is sea buckthorn is useful for this problem and were can we get this medicine because I am in india so plzz tell me it will be a lot of help to this problems..
Omega 3 fatty acids have been shown to improve cognitive abilities in some studies. Sea buckthorn seed oil has high concentrations of Omega-3, so that may help. For your daughter’s headaches, sea buckthorn is known for being an anti-inflammatory, so it could help. The best option would be to find a blend of seed and fruit oils for your children to take, so they can get all of the benefits. Since the cause of vitiligo is not yet known, it’s hard to say for sure if sea buckthorn oil can help. There are a couple of reasons that lead us to believe that adding a sea buckthorn supplement or skin care product wouldn’t hurt. First of all, some think that vitiligo is an autoimmune or inflammatory disease. That means that the immune system attacks its own cells and tissues. In the case of vitiligo that would mean that the immune system would attack the melanin or color producing cells causing the skin color to change and lose pigment. SBT is frequently used by people with autoimmune and inflammatory diseases because it has anti-inflammatory properties. Although it may not directly change the skin color, it is possible that the use of SBT could help the overall functions of the immune system with it’s anti-inflammatory effects. SBT is also known for it’s cell health supporting properties, so it could very well aid with the health of the skin cells in this situation. Also we would suggest the fruit oil of the sea buckthorn in combination with the seed oil. This would be best, since the fruit oil has Omega 7(skin health and moisture) and the seed oil has Omega 3 (anti-inflammatory). We think that the addition of SBT supplements a long with other treatments, such as light treatments might be beneficial. We don’t think it is the only treatment you should do but it’s definitely worth a try. Hope that helps and thanks for your great question! do you think it is beneficial to a child with autism. he is already taking DHA/EPA ? he has problems with memory and recalling. He can take his EPA/DHA supplement alongside the sea buckthorn seed oil. Plant based omegas are the precursor to EPA/DHA so they are safe to take with those supplements and even have some different health benefits. The omega 3 fatty acids are thought to help cognitive function, though there are no studies to prove it yet. It couldn’t hurt to try it but there is no guarantee that it will work. Is Sea buckthorn berry oil is it good to be taken by children with asthma and allergies and red eyes. Sea buckthorn oil has immune boosting properties. This means that over time sea buckthorn oil may help your body fight against the irritation of allergins and illness. According to Alternative Healing and Herbal Living sea buckthorn oil can be used to help with symptoms of Asthma. “During asthma, the bronchioles of the affected person constrict making them hard to breathe. Sea buckthorn oil extract helps in dilating the bronchiole that frees the victim’s breathing.” If your child is having severe symptoms of asthma please consult with a doctor to figure out the best method of treatment and dosage. Sea buckthorn is often used to relieve symptoms of dry eye such as itching and redness. You can use the oil for eye health by adding the oil to smoothies and salad dressings.